Rectangular section, closed-end design. Die springs are primarily used in die machinery, For Plastic Injection. The loading grade of die springs in various colors (from lightest load to extra heavy load): yellow, blue, red, green, brown. 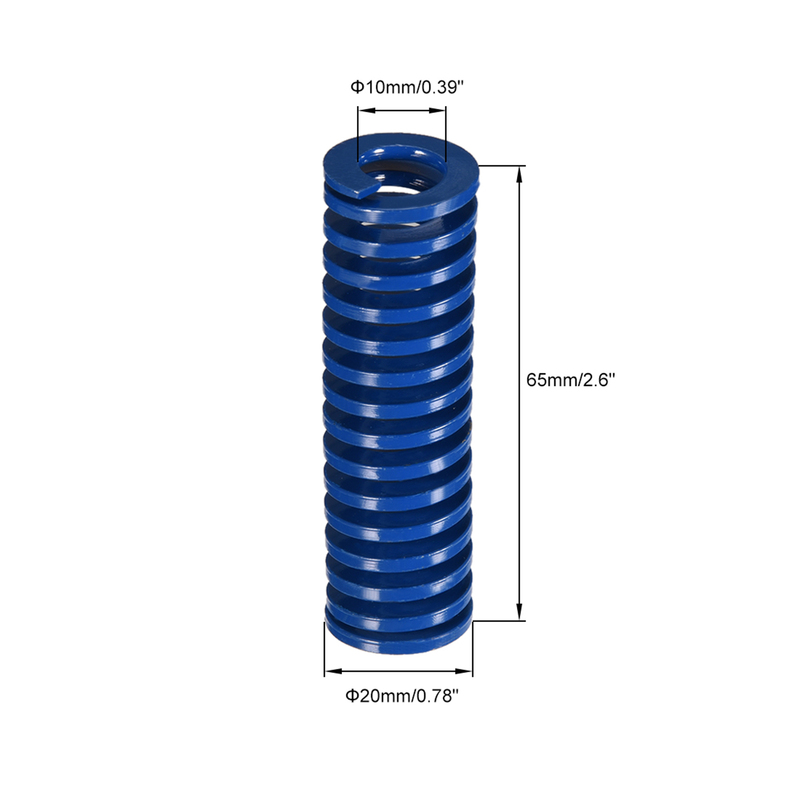 In addition, because die springs are well suited for high stress applications, they are also suitable for a variety of other applications as well.